Cherry + Jonathan led a beautiful day celebrating a romance of blended cultures decked to the nines in whites, purples + pastels, with dear ones from around the world and a giraffe named Stanley. It’s important to note that early on in our meetings, Cherry and I saved a bee that flew into my chai tea latte. We stopped our chat frequently to make sure the bee had gotten the sugar off of his wings until he was able to fly. We also bonded on Paris + travel. One of the most memorable meetings I have had + knew that her wedding would be just as special. 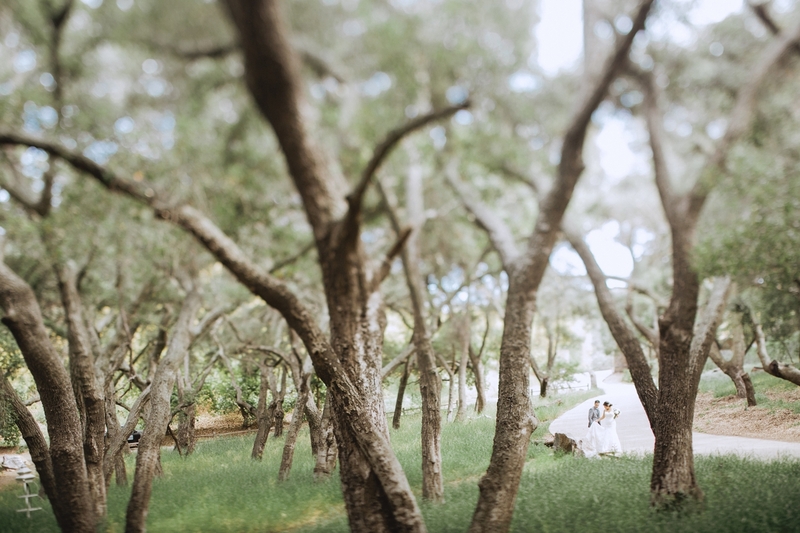 The setting for their enchanting outdoor wedding was the Saddlerock ranch in Malibu Canyon after some bridesmaids games, a series of tea ceremonies + a beautiful first look. Decorations celebrated their Chinese and French cultures and shared love for travel. The guests flew in from literally all over the world to celebrate these two. Their fearless pup Rebel took part in some of the festivities, including a stroll down the aisle, the couple wrote their own vows to one another + were led back up the aisle newlywed with bubbles all around. The three of us retreated to go visit Stanley the giraffe + spend some quiet portrait time around the vineyards as the sun tucked away behind the mountains. Nighttime festivities continued under the string lights of the oak trees. Dancing happened, laughs echoed through the ranch + cake got everywhere. This was a delight. I’m sure, somewhere, that bee is smiling, beaming with how lucky he is to be alive. I am beaming with how lucky I was to shoot this one. Look for more shots from their second celebration in Paris this fall. Day of Coordination: Lace and Love Events.